Both Marc Marquez and Jorge Lorenzo leave Qatar pleased with progress made ahead of round one, finishing the test in fourth and sixth respectively. 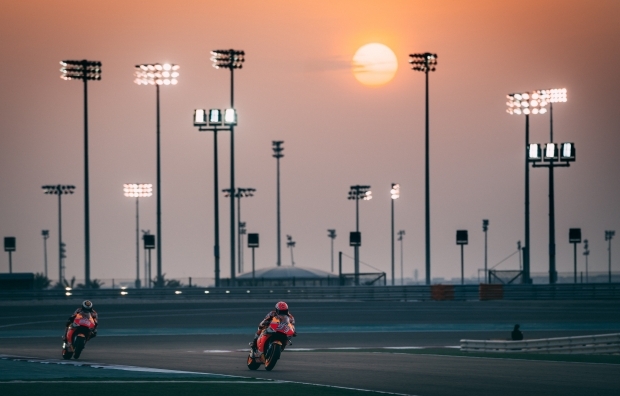 Incredibly high winds were waiting as the Repsol Honda Team arrived at the Losail International Circuit for the final day of pre-season testing. This delayed Marc… read more. 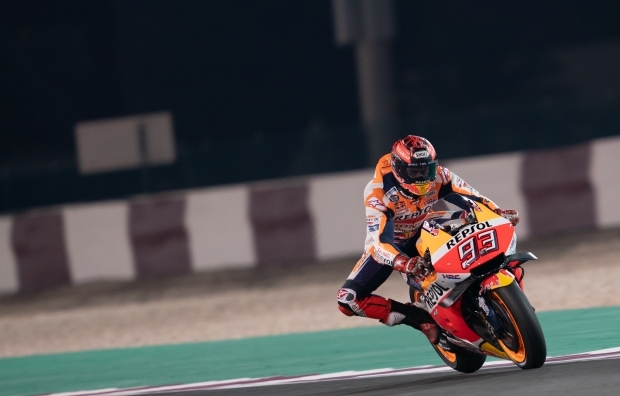 An early start in Qatar allowed Marc Marquez and Jorge Lorenzo to improve the setup of their respective Honda RC213Vs alongside their lap times. 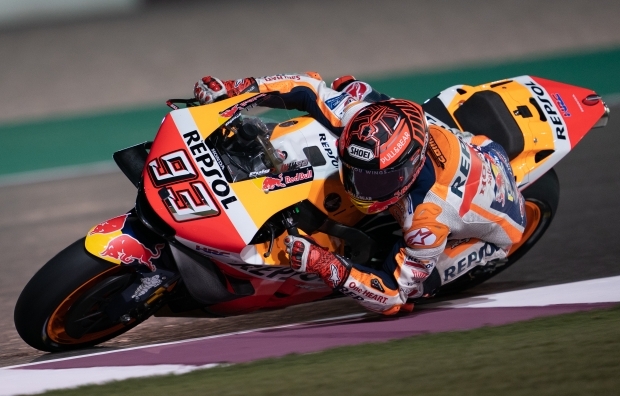 With information gained from the opening day of the Qatar Test, Marc Marquez and Jorge Lorenzo were amongst the first riders on track for day two.… read more. Just a few weeks after the Sepang Test, the MotoGP™ World Championship arrived in Qatar for the final pre-season test of 2019. It was a quiet start to proceedings at the Losail International Circuit as teams and riders waited for night to fall. Conditions improved steadily over the course of… read more. The 2019 MotoGP™ World Championship season is less than a month away and now the final test in Qatar awaits. With Marc Marquez joined by Jorge Lorenzo, 2019 is a significant year for the Repsol Honda Team and to commemorate this, the curtain is being lifted to reveal what goes… read more. 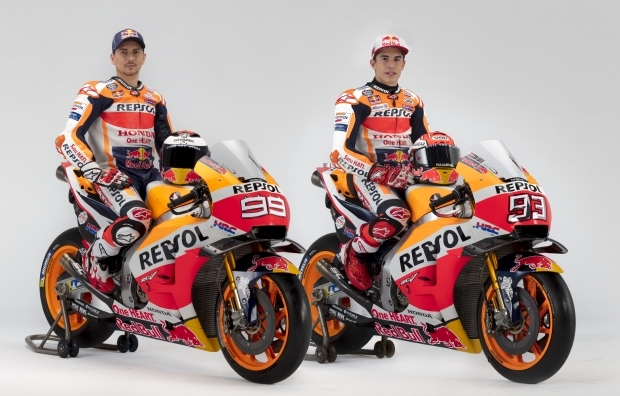 Marc Marquez and Jorge Lorenzo sit aboard the Honda RC213V machine in full 2019 livery for the first time. 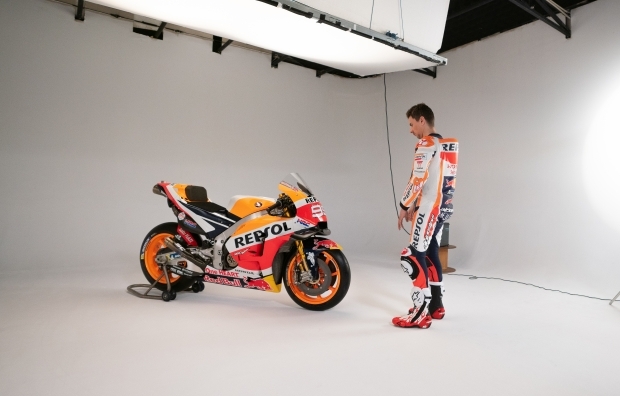 Having debuted the 2019 Repsol Honda Team livery at the launch in Madrid back in late January, the Spanish duo entered the photographer’s studio to preview the colours they’ll be racing… read more. While unable to complete as many laps over the three-day test as normal, Marc Marquez and the Repsol Honda Team leave pleased with progress made. 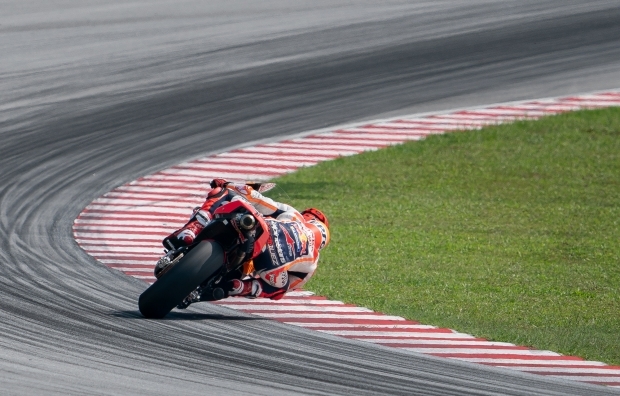 Finally the Sepang Test has come to a close, Marc Marquez completing a total of 105 laps while evaluating the various new parts for the… read more. Dry conditions continued for the second day of the Sepang Test, allowing Marc Marquez and his Repsol Honda Team to continue without interference. 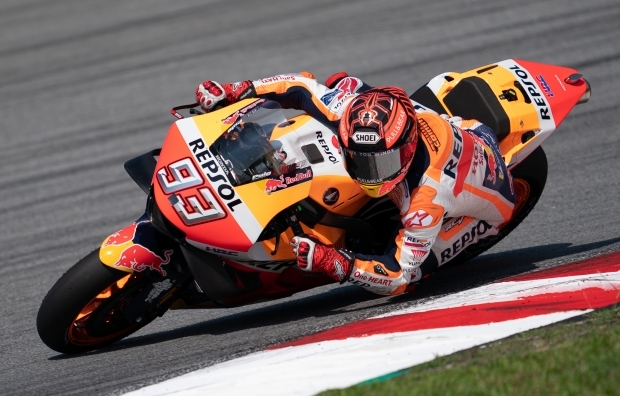 Close to perfect track conditions greeted Marc Marquez and the Repsol Honda Team at the Sepang International Circuit for the second of three days of testing. A… read more.